The team at Oregon Reproductive Medicine has selected and are getting ready to announce their Fertility Journey recipient couple, who after a long journey with several unsuccessful IVF cycles are now preparing to start their donor egg IVF cycle with genomic screening at ORM. 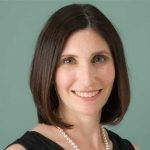 While this is ongoing we want to Profile Dr. Elizabeth Barbieri one of the partner physicians at ORM who will be treating this year’s Fertility Journey Couple. Dr. Elizabeth Barbieri is one of the lead physician partners at ORM. She is a board-certified reproductive endocrinologist and infertility specialist. She is overseeing this year’s Fertility Journey at ORM and will be leading ORM’s recipient couple’s donor egg IVF treatment team and overseeing their care. Dr. Barbieri is highly respected for her personalized care and experience building families through IVF, egg donation, surrogacy, and reproductive genomics. She is instrumental in the high medical standards in ORM’s donor egg and surrogacy programs. She has a particular interest in genetic etiologies of infertility, preimplantation genetic diagnostics, and fertility preservation. Her focus is on getting to know each and every one of her patients individually so that she can diagnose each aspect of infertility and identify the specific treatment protocols that will give each of her patients the best chance of success and a healthy baby on their first attempt. 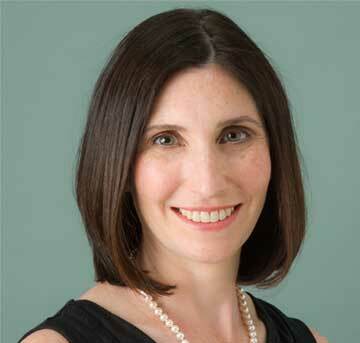 Prior to joining ORM in 2009, Dr. Barbieri completed her education at Yale University with distinction and her medical degree, residency, and fellowship at University of Connecticut School of Medicine, Northwestern University McGaw Medical Center, and the Weill Cornell Center for Reproductive Medicine. She is a member of the American College of Obstetricians and Gynecologists and the American Society for Reproductive Medicine. Dr. Barbieri has been an active contributor to Fertility Road, including the articles ‘Putting Reproductive Genomics at the Heart of IVF Treatment’ November-December 2016 and ‘Looking for Answers After a Failed Transfer” January-February 2017. Dr. Barbieri Writes, “I am truly honoured to be able to work with our Fertility Journey recipient couple this year and to help them build their family. Everyone at ORM is excited to be able to partner with Fertility Road magazine to make this wonderful program possible. As myself, a mother of three, who started my family later in life, I personally understand my patients’ innate desire to start or complete their family when the time is right for them as well as the pressures and challenges of getting pregnant at this time. Our selected couple has had a long history of multiple unsuccessful IVF treatments and missed opportunities to diagnose underlying conditions that have contributed to their fertility struggles. As a physician, I have seen all too frequently patients that have experienced similar setbacks in their own fertility journeys. I feel for my patients who have endured the stress and often heartbreak of repeated failed IVF cycles elsewhere, and I do my best to provide them hope and the best chance of success the first time. I am optimistic that with the right pre-treatment preparation combined with donor egg IVF, our selected couple will have the best chance we can give them for success and the family they have been hoping and waiting for. Oregon Reproductive Medicine (ORM) is one of the world’s leading fertility clinics for IVF with egg donation and/or a gestational surrogate and the integration of reproductive genomics into every cycle. For nearly 30 years we have been helping patients who have come to us from 40 countries build their families. Founded with the goal of building the best fertility program possible, ORM is recognised globally for its consistently high live birth success rates, individualised care, and innovation leadership. Our Team of more than 125 people – including our 8 reproductive endocrinologists, nurses, embryologists, genetic counselors, psychologists, patient coordinators, donor coordinators, surrogacy coordinators, financial counselors, accupuncturists among others – cherish the work they do each day with our patients and are committed to helping each of them have the very best chance of success on the first attempt and a healthy baby. Our embryology laboratory was designed as a clean-room, utilizing the expertise of Intel clean room facility engineers. This helps make an in vitro environment for embryos that is as close to the conditions inside the human body as possible. This industry-leading facility and the work of our phenomenal embryologists is one of the key ingredients to our consistently high live birth success rates. Our live birth success rates are recorded in the public databases for US IVF clinics that are available on the websites of the US Centers for Disease Control (www.cdc.gov/art) and the Society for Assisted Reproductive Medicine (www.sart.org). ORM Donors is our program for cycles involving an egg donor. Patients needing the help of an egg donor for their family building can select one either through ORM’s in-house egg donor program or through any number of external egg donor programs. Our in-house egg donor program is overseen by our physicians and clinical staff and we are proud of the exacting screening standards that we maintain. Our program is designed to provide ORM patients egg donors who are carefully selected for optimal fertility and the characteristics important to them. We help our patients match with our fully pre-screened donors and this contributes to a smoother process with fewer uncertainties and greater confidence. We believe that ORM egg donors go through among the most extensive screening around, particularly with regards to genetic screening, and about only 7% who apply pass our rigorous standards. We believe that this is a key factor in our high success rates for patients working with an ORM Donor. ORM Surrogacy is our program for intended parents working with a gestational surrogate to carry their pregnancy. ORM has a specialized team, and we are expert in coordinating these more complicated IVF processes. We have longstanding relationships with some of the best surrogacy agencies in the USA, some of which are also based in Oregon which can help families to localise their surrogacy journey. We have rigorous protocols for medically approving a gestational surrogate for treatment at ORM and we believe that this contributes to our high success rates and the best chance of a safe and healthy pregnancy for the gestational surrogate and intended parents. These journeys sometimes also involve intended parents working with an egg donor. Our team is able to help patients and their surrogates and egg donors, if they are also using donor eggs, seamlessly through their unique and complex journeys. ORM Genomics is our program for integrating the most advanced reproductive genomic care and screening into every IVF cycle. We have a 5-person full-time genetic counseling team and an in-house genetics laboratory equipped with the most advanced genetic sequencing technology. We provide family genetic history evaluation and genetic disorder carrier screening for all donors and patients. To minimize the risk of a child born with a serious, untreatable genetic disease, we automatically test everyone that is contributing egg and sperm for the creation of an embryo for more than 100 recessive gene carrier diseases. This is significantly more comprehensive than standard practice among many clinics. We help our patients understand these results at the outset so that they can make the best choices for their families. We offer the latest form of Preimplantation Genetic Screening (PGS), which is Comprehensive Chromosome Screening (CCS), and customized Preimplantation Genetic Diagnosis (PGD) both using advanced Next-generation Sequencing (NGS) technology. CCS helps ensure that we only transfer embryos that have screened as chromosomally normal and therefore have the best chances of success for a healthy baby. The understanding of genetics and the variety of tests available are both expanding rapidly. We believe that our patients should feel empowered to make informed decisions based on the latest technology and with accurate, up-to-date, and easy to understand information. We are based in Portland, Oregon in the beautiful Pacific Northwest of the USA. We look forward to welcoming you to ORM in Portland and to helping you build your family!